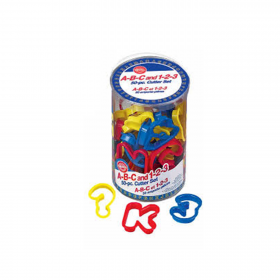 Great for cookies, brownies, gelatin treats, learning games, crafts and more. The International Centre of Cake Artistry (ICCA), is founded by Master Chef & Cake Artist Rosalind Chan. We offer cake decorating and baking supplies for the home hobbyist to professional! From basic butter cream icing decorating using Wilton character pans; to rolled fondant, cold porcelain & gum paste for the more advanced cake decorator. Copyright © 2019 International Centre of Cake Artistry - Online Store. All Rights Reserved. Owned by iccacakedecor.com.